The Heart sign is the Universal symbol of love, and is most prominently noticed on Valentine’s Day. Therefore, true to its name, the Heart Chakra is all about love, caring and affection. It is the supreme energy, which humbles you as a person, and dispenses with all your harmful egoistic tendencies. Try this free 7 chakra test to know more about your Anahata chakra. If the Heart Chakra remains open, you are invariably a very friendly person, who is extremely receptive to all those around you. You are very loving towards your near and dear ones, as also quite sympathetic and ever ready to help people who need help. Your compassionate nature draws a lot of admirers all around, and makes you a very nice person to know. Your partner will have unbounded joy at your romantic nature, as well as feel protected in your presence. In fact, the very emotions of love and respect are extremely important to you. You are honest and generous towards other people. This draws in both admiration as well as respect from others, be it your friends or family. In this state of mind, your constant effort is to work at harmonious relationships with all around you. The heart chakra healing makes you empathetic to the pain felt by others and recognize their varied emotions. However, in the under active state of this particular Anahata chakra, you tend be reserved in your feelings towards others, which is a sharp divergence from the previous stage. You are calm and cool, and generally suppress your feelings for the other person. You are generally disliked by others as a “hard-hearted” person, and are cold and unsympathetic to the needs of others. It is very surprising that a normally loving person like you will then be self–centered and selfish. You are troubled to extend love to others, and even to love yourself as a person. Friends are surprised to find you emotionally distant and unable to share their joy and sorrow. 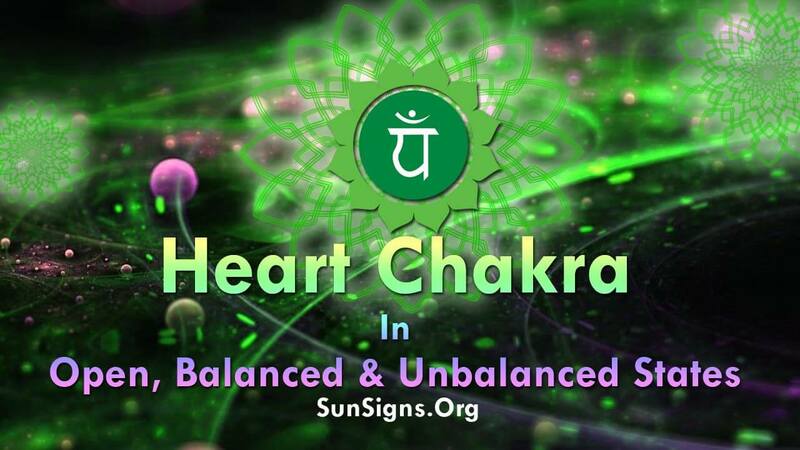 In the over active or hyperactive state of the heart chakra, you become highly emotional and overtly sentimental as a person. However, you still behave in a very selfish manner, and only show love keeping your own benefit in mind. Plainly put, people feel suffocated in the love displayed by you towards them, but at the same time, what they do not know, is that much of this is triggered by your own selfish aims. The remedy to this unbalanced state lies in loving yourself and concentrating more on you as a person. This heals your mind and releases pent-up emotions of the past. Keep your mind totally open and receptive to all those around you. If possible, try and forgive those who treated you unfairly or abused you in the past. Try chakra meditation for better results. This way you can be united once again, with your one true self, and learn to be compassionate towards others. It is important for you to remember that if we accept ourselves the way we are, it will do us a world of good, and reduce all internal tensions that we face in our everyday lives.